With its ultra slim profile and compact design, this Pioneer Eclipse 20 inch automatic floor scrubber is ideal for small floor areas with tight spaces. 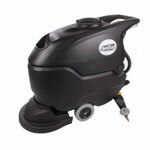 This high performance yet economical machine can go where larger scrubbers can't and clean it better and with less cost. A powerful traction drive system and floor-friendly wheels allow for easy and smooth operation letting you clean up to 18,800 square feet of floor area per hour. A large 24 volt battery allows the unit to run for up to 3 hours. From the easy access vacuum system, the small debris recovery basket filter and the automatic brush/pad coupling this scrubber has something for everyone. We carry a large selection of floor scrubbing brushes and floor scrubbing pads to fit this machine including our 20 inch red floor pads for light cleaning, 20" medium-duty blue floor pads, and 20" green floor cleaning pads for heavy duty cleaning. For best results use one of our floor scrubbing soaps like Neutral Clean Floor Cleaning Solution and a floor scrubbing defoamer such as Core Liquid Defoamer. 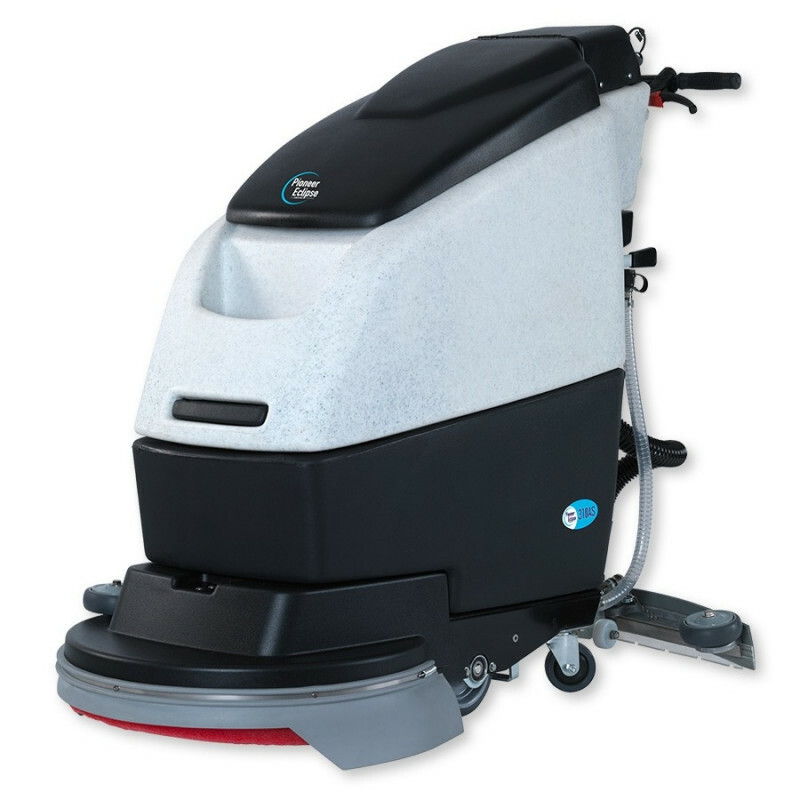 If you're looking for a slightly larger machine then check out our other Pioneer Eclipse autoscrubbers or other great brands of walk behind floor scrubbers. Automatic brush/pad coupling and release. 12 gallon solution tank with large quick fill opening. Easy access tank design with quick emptying features. Easy access suction motor filter for quick cleaning. Special recovery basket filter collects solid debris for easy cleaning. Traction drive for easy operation of up to 18,800 ft² per hour. Sound absorbing construction for extremely quiet operation.